Following several high profile workplace tragedies over the last couple of years, many business are now taking employee fatigue more seriously. Are your employees really ‘fit for work’? In November 2013 a young intern working in the banking/financial services industry suffered an epileptic seizure – believed to be caused by overwork – and consequently died. In October that same year, the so-called ‘Mona Vale inferno’ in Sydney’s northern beaches was a devastating trucking accident caused by fatigue. The human cost was tragic: two dead, five injured. Add to that the environmental damage caused from leaking fuel and massive business costs: Cootes Transport Group was hit with more than $50,000 in fi nes and penalties, incurred $9m in compliance costs, lost major contracts and restructured from being one of Australia’s largest transportation groups into a small, specialist transport company. 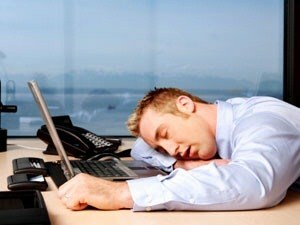 While it’s true that fatigue-related incidents in transportation and frontline industries such as mining, healthcare and aviation land in the headlines, the first example above – as extreme and isolated as it might appear – demonstrates that white-collar professions could also benefit from a focus on fatigue management and more effective time & attendance management. James Kissell, director of marketing at WorkForce Software, says that in any industry, regulated or not, fatigue can take a toll on business performance. There are strong parallels (and research) showing how working as a fatigued employee is akin to working under the influence of alcohol or drugs. In fact, being awake for 17 hours straight has been equated to having a blood alcohol content of .05 – the legal limit for most drivers in Australia. There is increased likelihood of errors amongst fatigued workers. When tired workers are faced with tasks that require alertness, mental acuity or decision-making (in short, most jobs), a measurable decrease in accuracy and quality will result. Fatigued persons are slower at interpreting visual information than alert peers – a limitation that can have significant impacts on job performance. Fatigue can also lead to an increase in tolerating or undertaking risky behaviour. Fatigued individuals frequently have a very different opinion of what’s ‘good enough’ compared to fresh, non-fatigued colleagues. Fatigued workers are prone to cutting corners, which can have a negative impact on everything from worker safety to the quality of your brand and its products and services. Fortunately, there are solutions. The first essential step is preventing the work conditions that cause employee fatigue in the first place. A thorough review of all jobs and shifts within the organisation will identify those functions that cause fatigue, require statutory rest periods or are at risk of fatigue-related incidents. A step further is to provide an automated technology solution in order to better manage the three components that make up fatigue management. Time & attendance: This is your master record of hours worked, spelling out who worked, on what task and for how long. Having accurate information about time worked is crucial to knowing which employees may be approaching the threshold of fatigue. Rostering: Here you define who is going to work on what project, as well as when they’re going to start and stop. This view into projected work hours allows managers to avoid fatigue risks in advance when scheduling employees. Fatigue management alerts prevent managers from trying to schedule an employee who is fatigued or could become fatigued as a result of working a specific shift or shifts. Fatigue factors: A configurable rules engine tracks the rules, regulations and policies that govern your organisation’s fatigue mitigation strategy. This allows you to create a system that meets the unique needs of your business and allows managers to override alerts in certain circumstances. To be maximally effective, it must be able to consider different factors for specific jobs, in order to accurately reflect the distinct risk profile of a given shift and type of work. In addition, automating time & attendance and rostering processes provides proof of compliance. The audit trail within a time & attendance system captures all activities, while historical records support employers against any litigation/regulatory actions. With the shift towards self-service technology, it stands to reason that employees themselves should have more say in their work schedules. However, research from Kronos, Live to Work, or Work to Live?, found that only 13% of workers could change their rosters through a work computer, while only 9% could do so through a website, and 7% through a mobile application. More than half (54%) of rostered workers said their rostering system could be improved if they could collaborate online with other workers to change shifts. Don’t wait until there’s an accident! Business leaders should act now. The gold star for modern fatigue management practices goes to the US nuclear industry – for obvious reasons. Organisations in that industry have to comply with the Nuclear Regulatory Commission (NRC) Regulation 10 CFR 26, which includes a set of complex rules defining limits for work hours, scheduling, break constraints, periodic employee assessments and other regulations. implementing an IT-driven fatigue management policy. IT solutions will automate processes, remove complexity and give you greater coverage across the organisation. “There are many approaches to setting up a fatigue management policy,” says Kissell, who provides six easy steps that organisations can use to start themselves off on the journey to a full fatigue management policy.